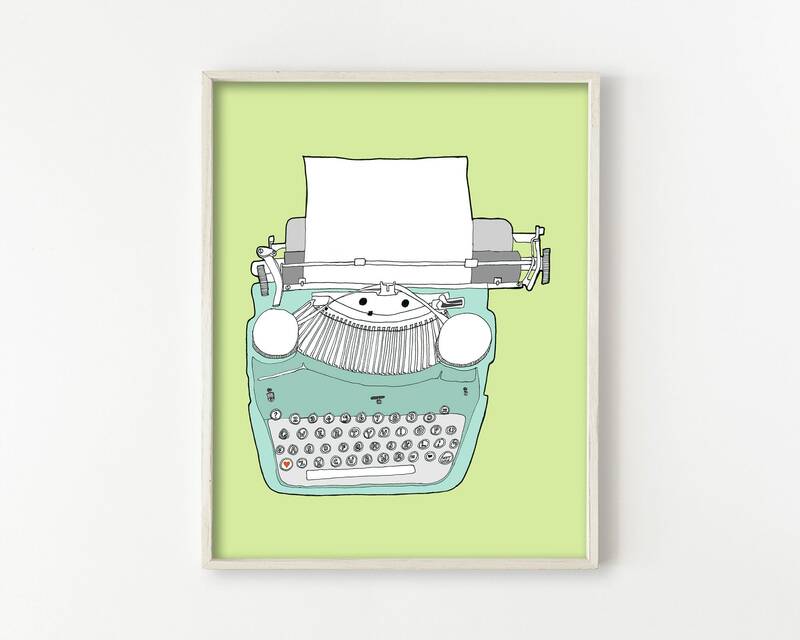 TITLE: "Vintage Typewriter No. 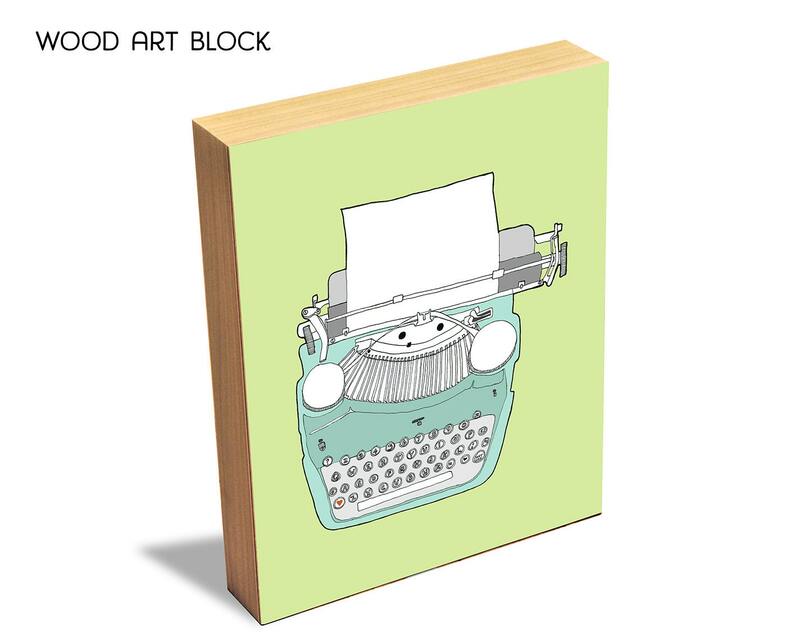 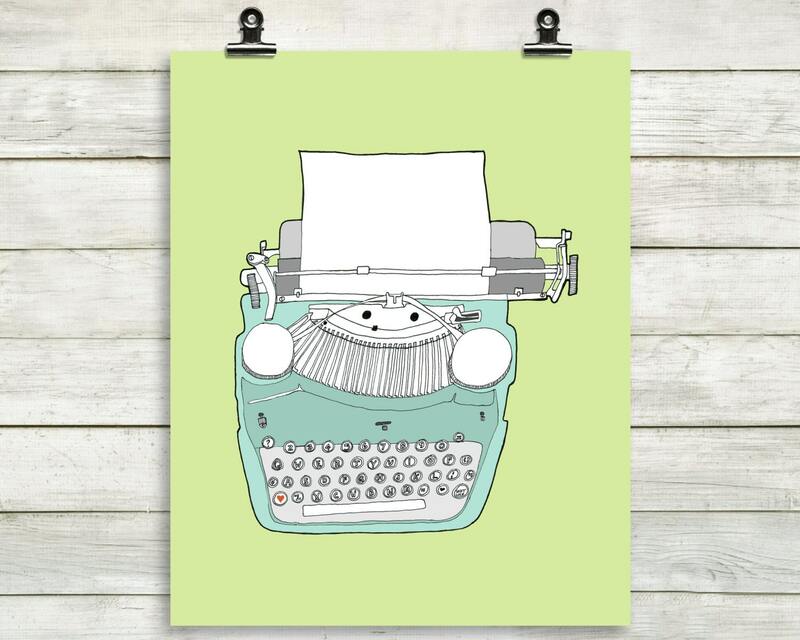 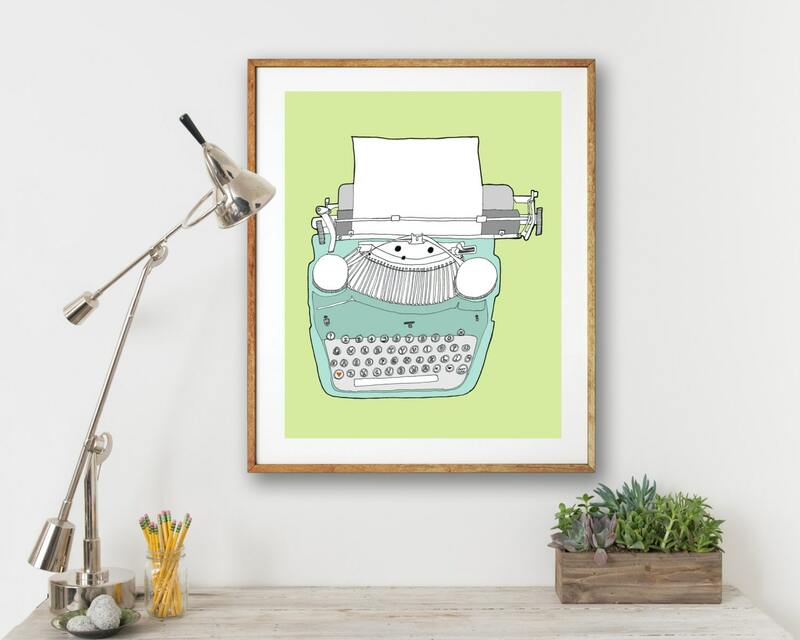 5"
We love old typewriters, and each of our typewriter prints begins as an original hand-drawn pen and ink illustration. 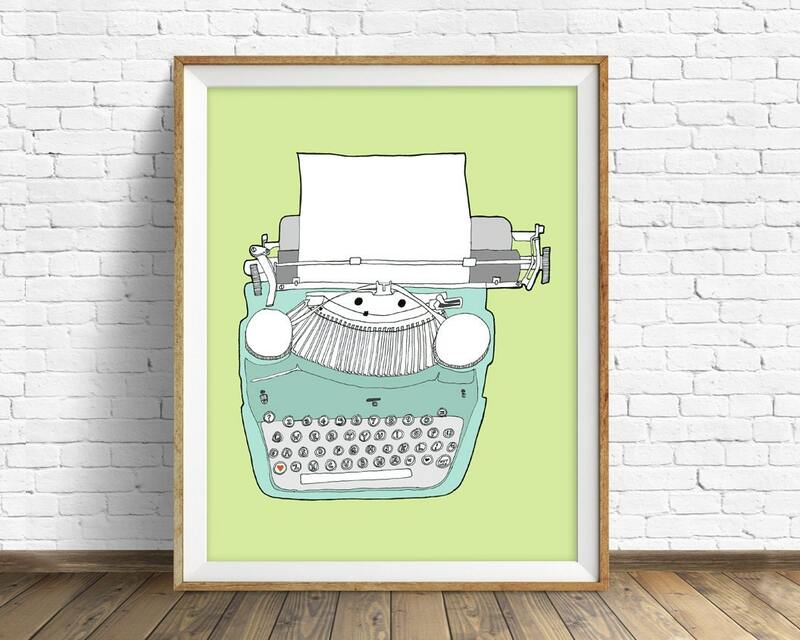 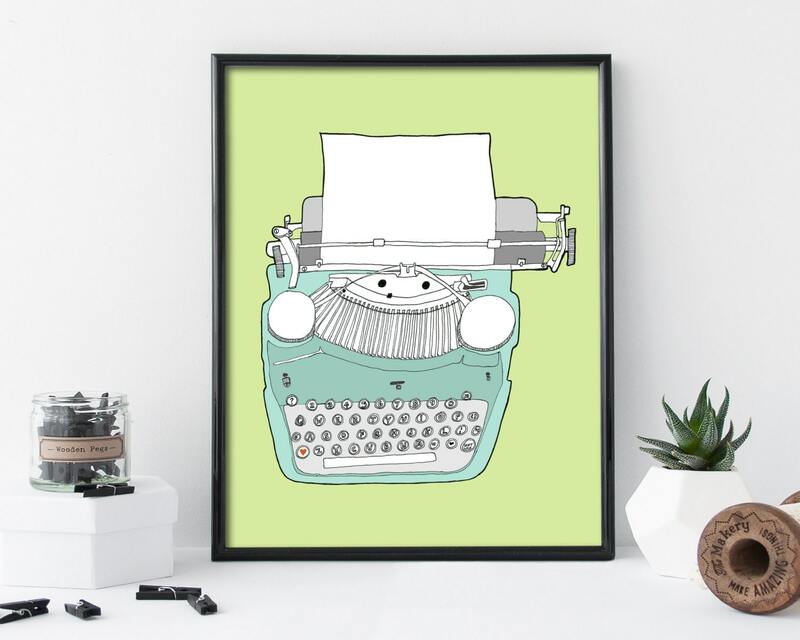 This one is the fifth in our series of seven vintage typewriter prints and features a lovely retro typewriter with a lime green background.